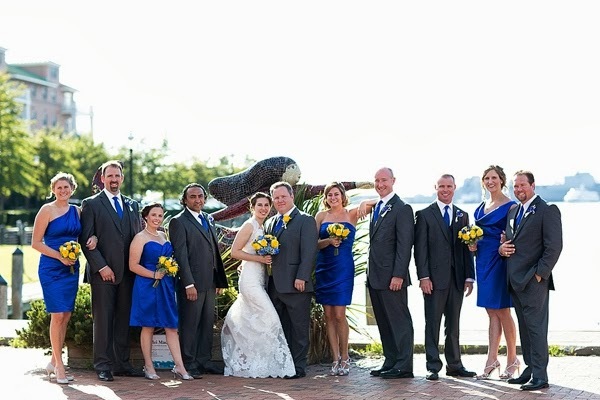 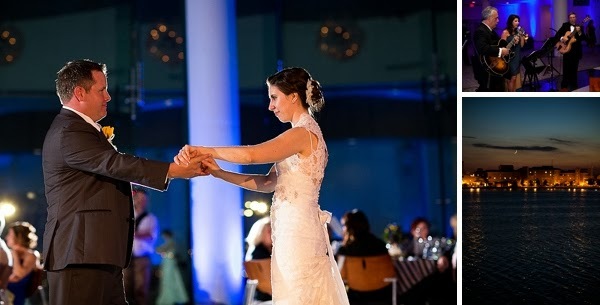 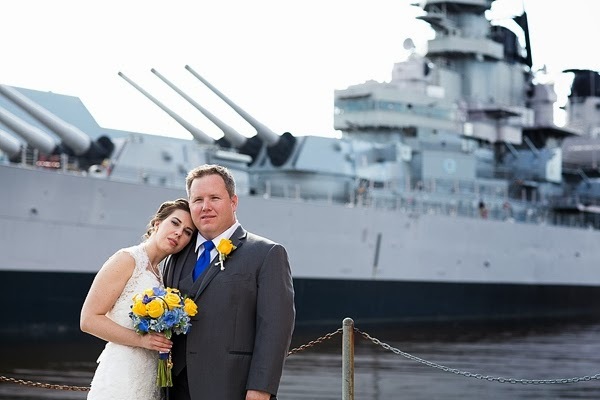 When we saw the USS Wisconsin as a backdrop for this blue and yellow wedding from Leigh of Leigh Skaggs Photography, we got really excited! 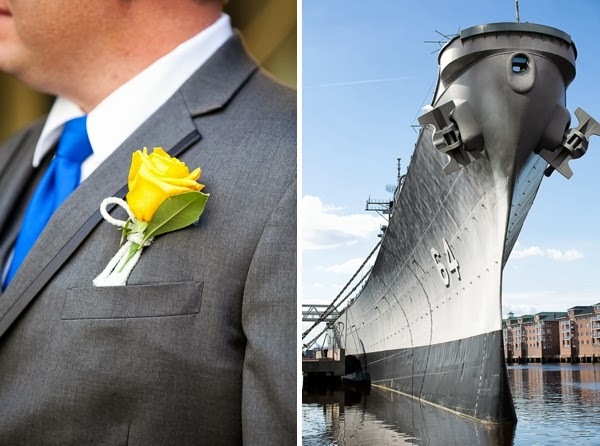 It's such an iconic sight in downtown Norfolk, and so you know you're in for a real nautical treat when it shows up on a wedding day. 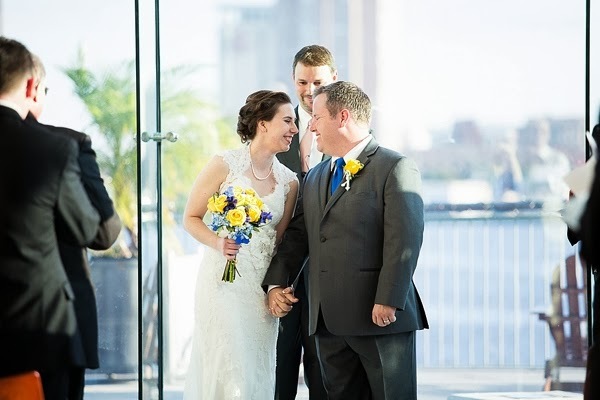 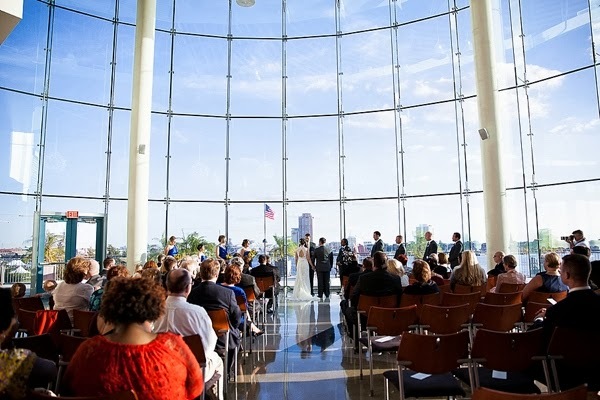 Getting married at the Half Moone Cruise Terminal was to be expected since Norfolk surrounded Kristen and Brad's entire relationship. 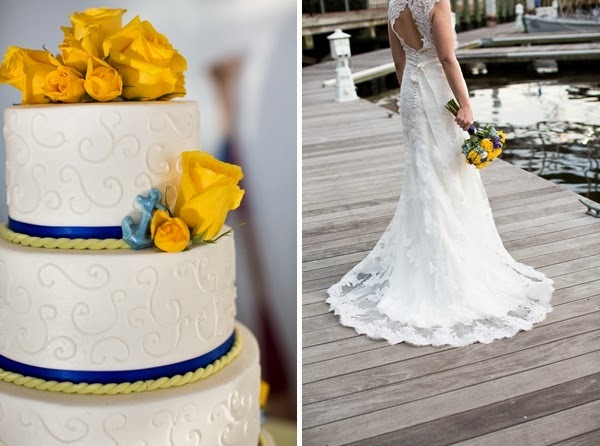 They met when she worked at CHKD in Norfolk, and he was in the Navy stationed also in Norfolk. 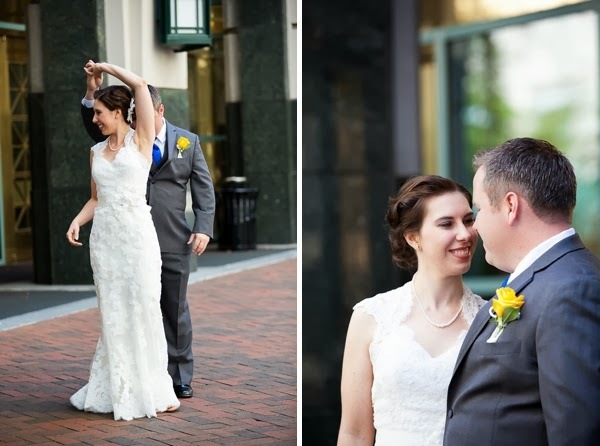 In addition to that job tie, Brad lived just a few blocks from the Half Moone, so it goes without saying that Downtown became very special to them. 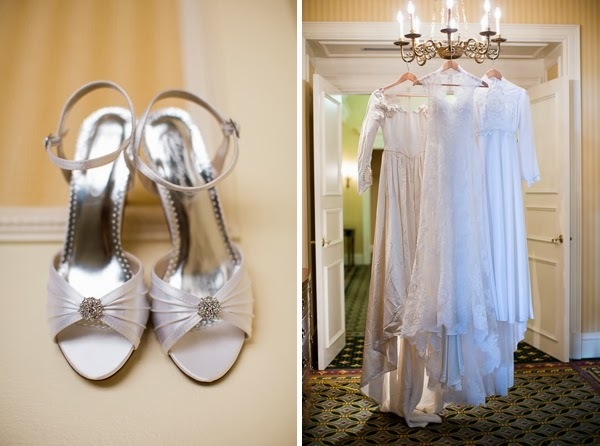 We are always a fan of when brides and grooms pull in personal touches for their wedding days. 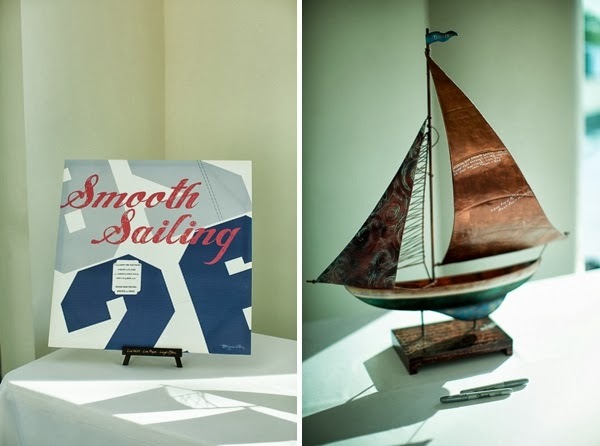 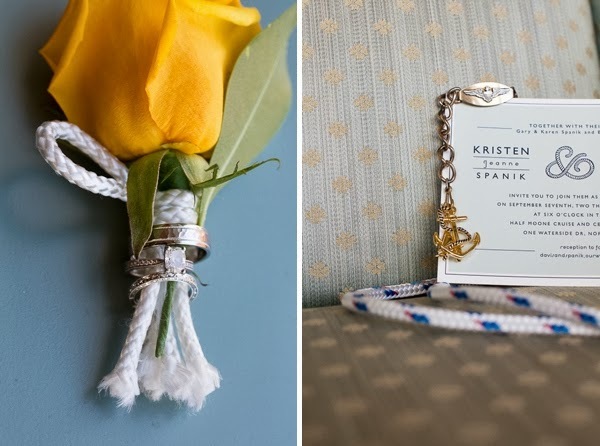 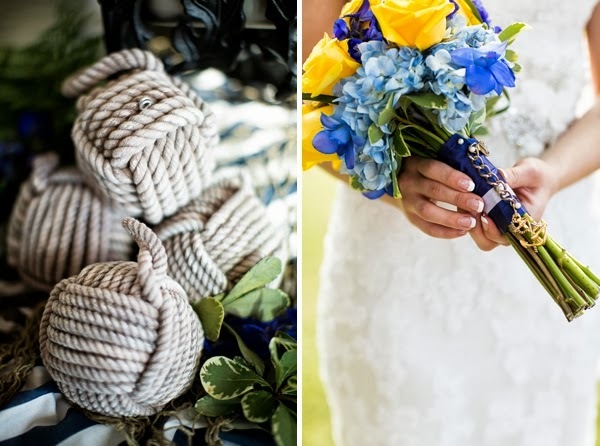 And Kristen and Brad did just that to really anchor their nautical theme: they entwined Kristen's grandfather's nautical bracelet around her bouquet, they tied a sailor's knot during the ceremony, and they had a sailboat made of copper for the guests to sign. 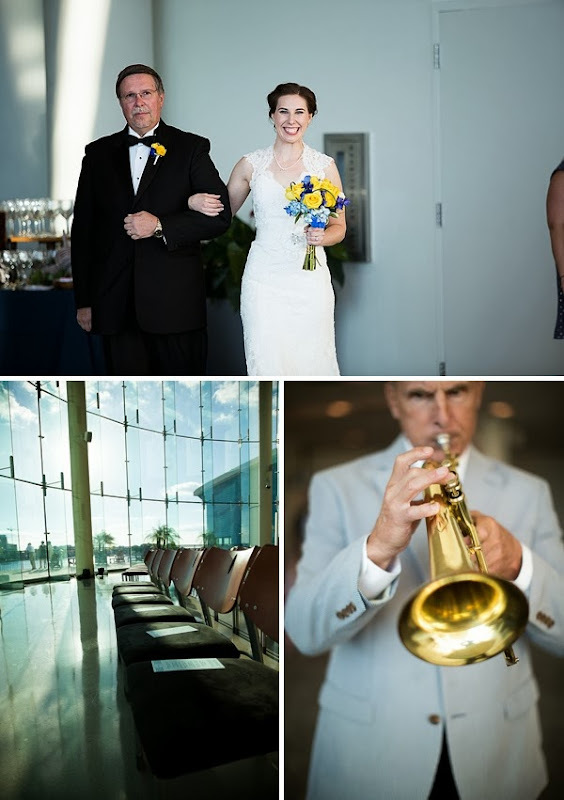 But beyond the actual nautically based details, Kristen brought her mother's and grandmother's wedding gowns and the bride's Dad played music during the wedding reception. 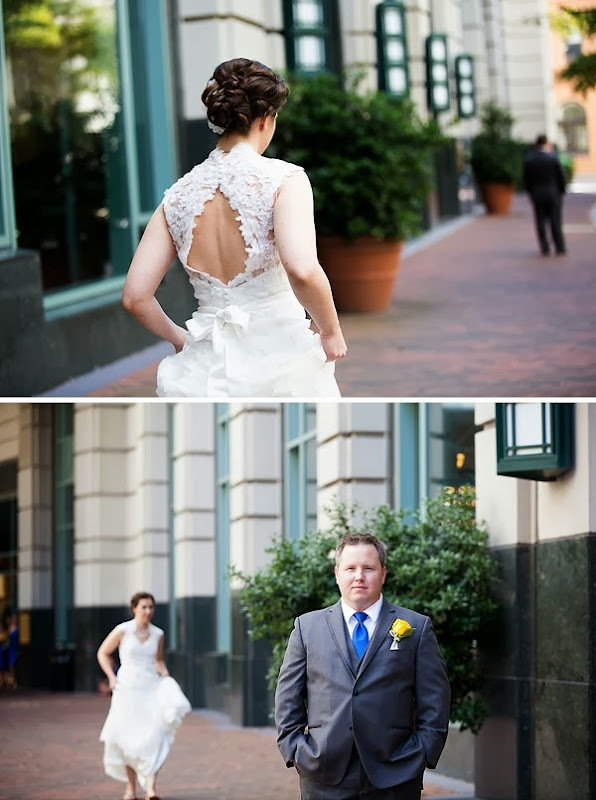 The bride said, "Find little moments to remember and treasure on your wedding day because it flies by in such a blur. 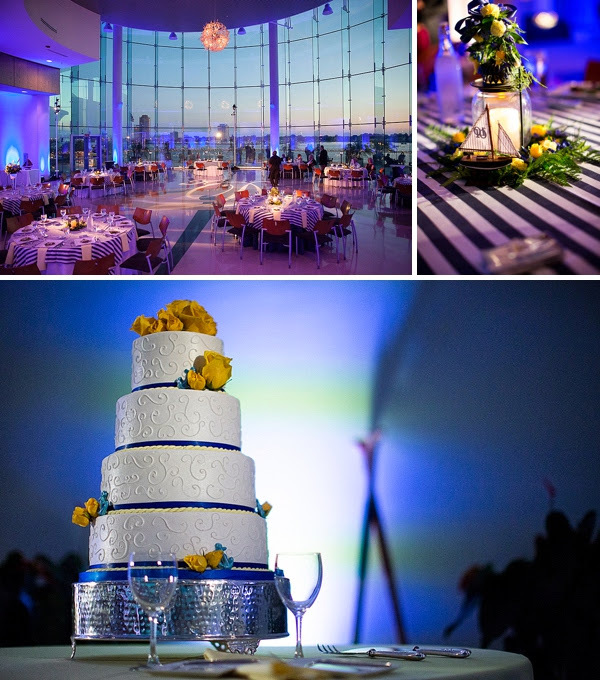 Also, involve family and friends as much as you can."